P.S We would like to welcome all the budding Hindi writers to contribute here. Through this site you can appeal to a huge Hindi Audience. Do send us hindi short stories, hindi poems, hindi essays or any hindi motivational articles to nisheeth.exe@gmail.com. 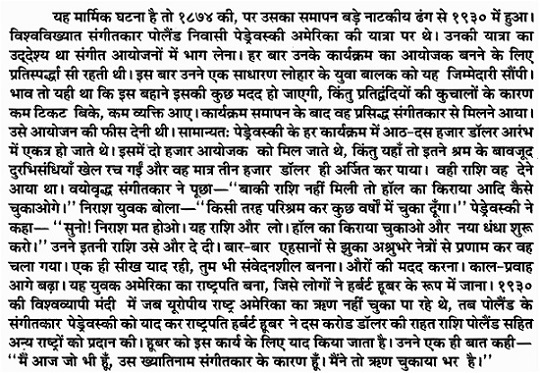 hindi inspirational story about American president Herber Hoover and Polish Musician and composer Ignacy Jan Paderewski.